It’s that time of year again. The weather is warming up and Christmas is fast approaching. November is the month when we get the most calls from Canberra homeowners asking us about decking and outdoor extension options. There are many reasons why adding a deck to your property is a good idea so we thought we’d explore the top 3 reasons why you need a deck this summer! A good quality deck is an investment. The initial outlay may make you wonder if the cost is worth it, but it is well documented that a deck increases the value of your home. Research also shows that a deck will make your home sell faster too. We have spoken to many real estate agents over the years and they confirm that buyers in Canberra favour houses that have a well maintained deck over those that don’t. Decks are so attractive to buyers because they are low maintenance and ideal for entertaining. Upright Building Services work on many home extensions and home renovations each year. While this is a great way to expand your living space, a new deck is the least expensive way to add square footage without a brand new addition. We are lucky enough in Canberra to enjoy a long summer so we find that decks often become the focal point of the home, where your family eats, relaxes and even exercises! Australians love to entertain and with our fabulous climate we love to entertain outside. Here in the nation’s capital, barbeques and summer parties are an institution. 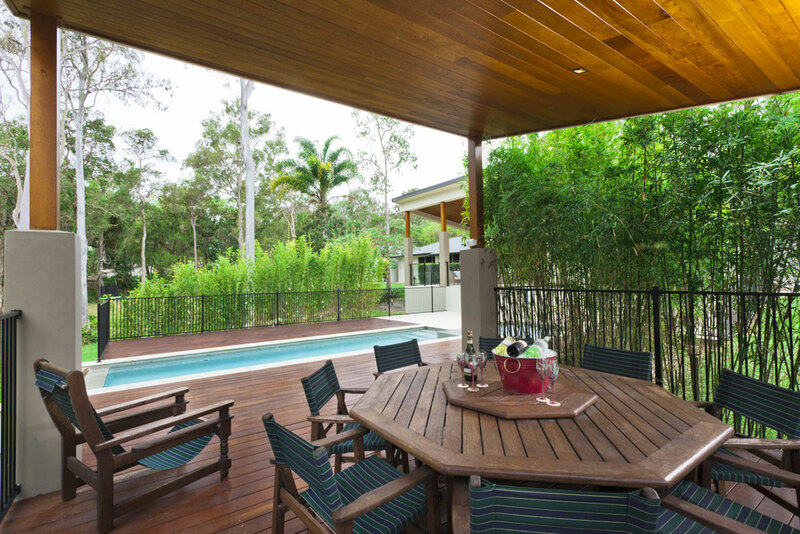 Whether you are having a lunchtime BBQ in the sun or an evening meal with friends, there’s something about a deck that creates the ideal entertainment area. Many of our clients customise their decks with comfortable seating, plants and lighting to really give their outdoor space added WOW factor! Thinking about adding a deck onto your home?